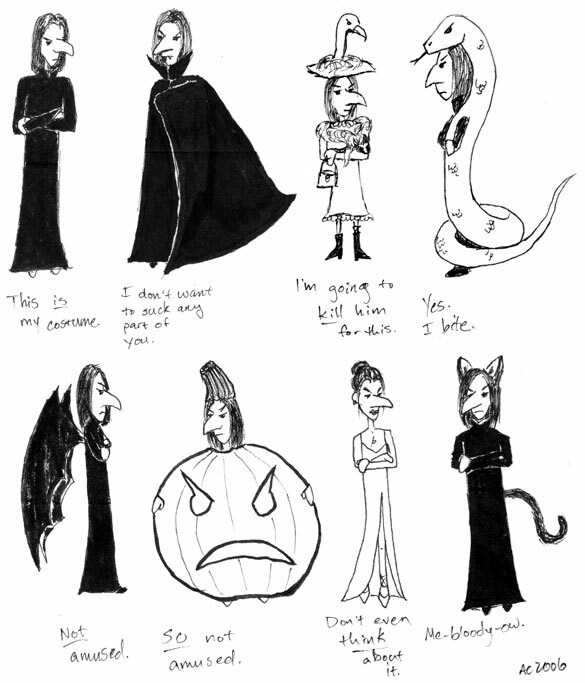 I drew this years ago for a Halloween card exchange. Each costume and caption filled one eighth of one of those paper fortune tellers of the sort I used as a kid. I had to Google how to fold one, it had been so long! Perhaps next year I’ll make a Cthulhu one. Or Harry Potter himself, just so Snape can enjoy sharing the misery.